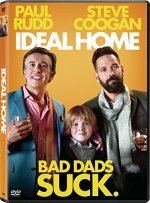 Ideal Home release date was Friday, June 29, 2018. This was a Limited in theaters release. changed the title from "An Ideal Home" to "Ideal Home"